You don’t need to cut your shape out of paper. You could just as easily trace the shape you want to fill in with a pencil and erase the lines afterward. 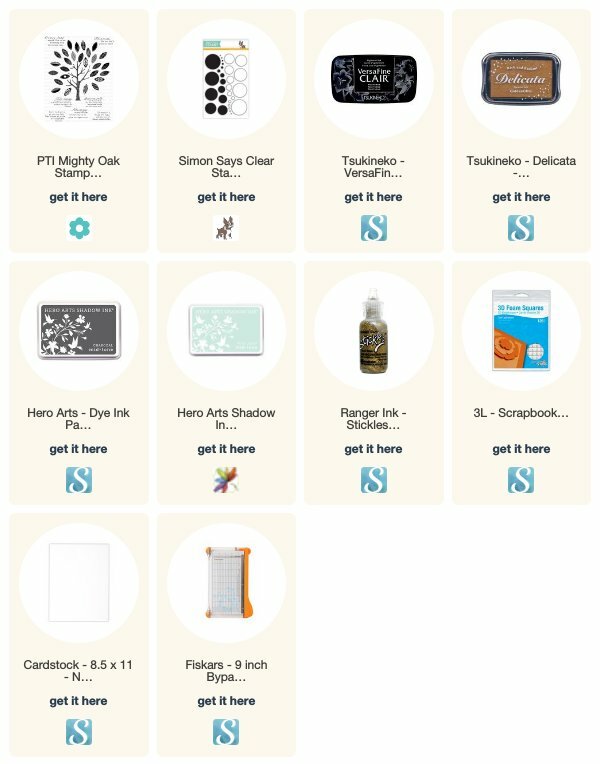 Be careful, though – if you stamp over the pencil lines you won’t be able to get rid of them. 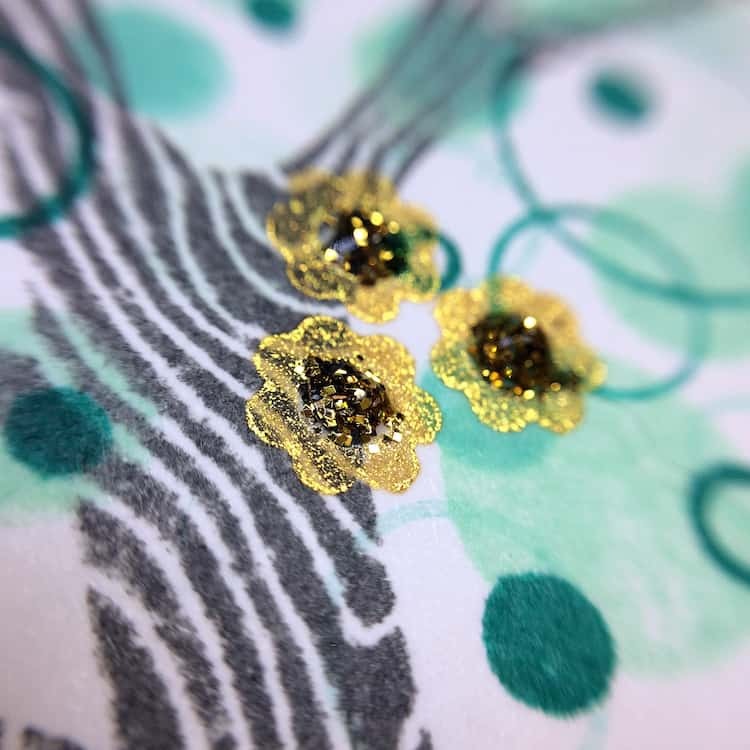 The little golden flowers come that I decorated my tree with come from PTI’s Filled With Joy stamp set, but you can use anything that has tiny flowers in it. I stamped them with Golden Glitz and filled in the centers with glitter glue. Granted, the centers don’t look that hot in the picture, but that’s because the Stickles wasn’t dry yet. I assure you they dried flat and sparkly! As a side note, hats off to all of you who run craft blogs! I have no idea how you do it at a consistent pace. If you want to share a few secrets on how to manage it all, leave a comment below. What does a typical day’s schedule look like to you? This is beautiful. Super clever idea! 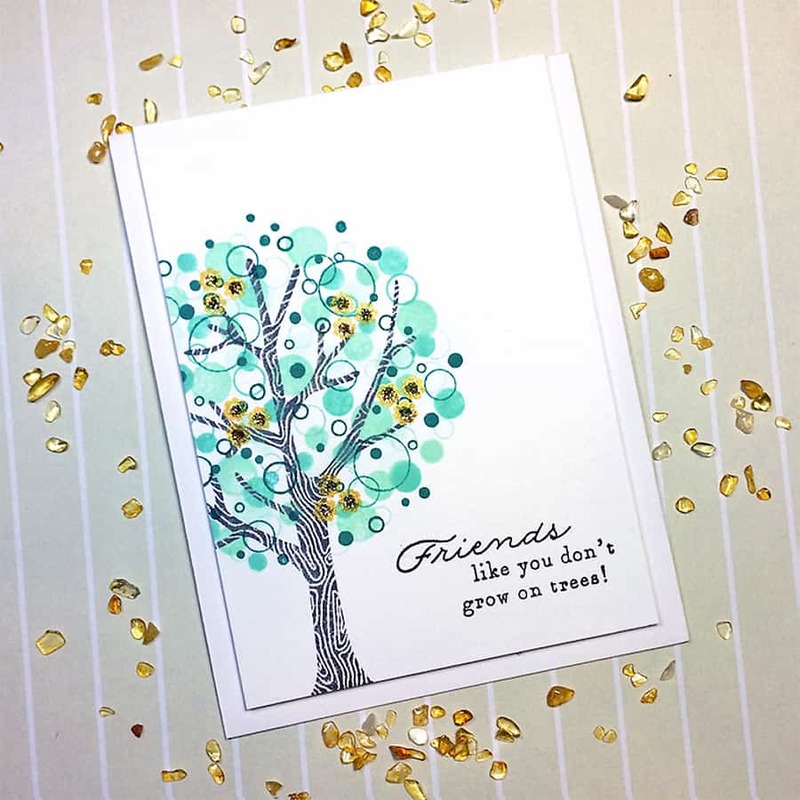 Beautiful Card, the confetti stamping is perfect on your oak tree! Way cute ‘leaves’ on your oak tree. That golden glitz is on my wish list! Adorable card! This card is beautiful. I love the Mighty Oak set from PTI too and this is a great idea on a new twist. Thank you. If this is on Pinterest, I will definitely pin.